The (Not Quite) Librarian – Book lover today, YA librarian…some day soon! “Seventeen-year-old Cassie is a natural at reading people. Piecing together the tiniest details, she can tell you who you are and what you want. But it’s not a skill that she’s ever taken seriously. 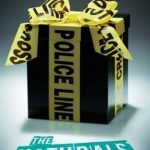 That is, until the FBI come knocking: they’ve begun a classified program that uses exceptional teenagers to crack infamous cold cases, and they need Cassie. Totally okay and fine book. This one was recommended to me as being “so good,” so maybe that set me up for disappointment. People might laugh at me for reading books about fairies and magic, and then having a hard time stomaching the thought of teens who solve murders. But, really, what teens are out there solving murders?? Pretty far-fetched if you ask me. Plus: Didn’t see the ending coming! The other Naturals are all pretty cool characters- I like that they’re all so mysterious. And I learned a lot about murder investigations and criminal profiling so there’s that. Minus: Meh love triangle, meh main character, meh plot. 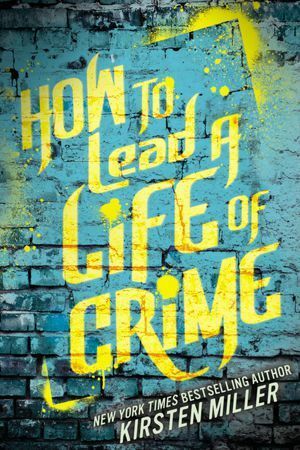 How to Lead a Life of Crime by Kirsten Miller- This one is on my TBR because I loved Miller’s Kiki Strike books. 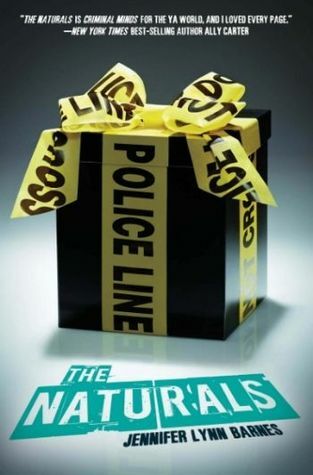 It’s basically a reversal of The Naturals– a group of kids are trained to be elite criminals. I tried to read this once, about three or four years ago and I DNF around 100 pages in. I have since become OBSESSED with Leigh Bardugo thanks to Six of Crows! (Even though I didn’t like the second one as much…) But Six of Crows really got me into the Grishaverse which was just what I needed to commit to this trilogy. 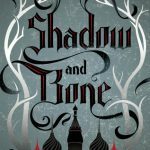 I feel like there is a very obvious difference between Shadow and Bone– Bardugo and Six of Crows– Bardugo. Her writing seems less mature and well-rounded here. But that doesn’t stop it from being an enthralling read. I’m not much of an Alina fan, but I think I she will grow on me. I am also low-key obsessed with the Darkling and want to know everything about him. I just love the feel of the Grisha world- the Russian influence and the rich lore that permeates it all. There is a sense that there is something wonderful building here, but I want more! I hate when a book feels unfinished simply because it is part of a series. Minus: That unfinished business vibe really bothers me. Guess I’ll just have to read the rest of the trilogy, woe is me. 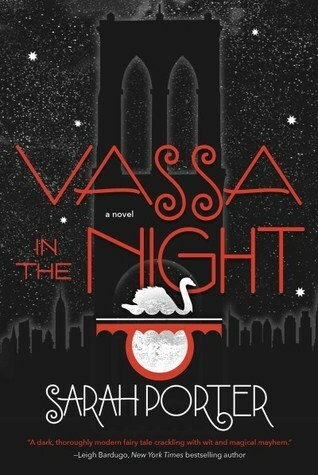 Vassa in Night by Sarah Porter- It’s a super weird book! 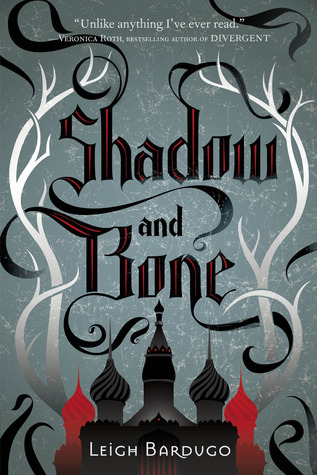 But very fun and plays off of a lot of Russian folklore, just like Shadow and Bone. “Kay Donovan may have skeletons in her closet, but the past is past, and she’s reinvented herself entirely. Now she’s a star soccer player whose group of gorgeous friends run their private school with effortless popularity and acerbic wit. But when a girl’s body is found in the lake, Kay’s carefully constructed life begins to topple. I think boarding school mysteries are my new thing. I feel like I’ve read a lot of them lately and I don’t plan on stopping any time soon. 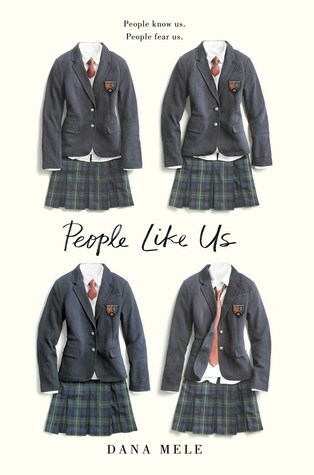 I actually bought People Like Us on a whim- people who know me know that I don’t usually buy books because then I usually won’t end up reading them. But I read this one and I really enjoyed it too! 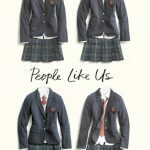 After finding a dead girl in the lake of the school, Kay gets blackmailed into outing all of her friends’ secrets, in order to keep her own past buried. The story is overall really good, and I had an idea of who did it, but couldn’t quite figure out the whole thing, which is important to me in a mystery. And there are a few different layers too, like what really happened to Kay before she came to the school. I will say, the actual ending of the story was a bit unsatisfactory. It seemed to be building to a more thrilling conclusion…that just wasn’t there. There were also a few lulls in the plot, like when Kay goes to stay at a friend’s house over a holiday break. It’s supposed to add background, I get that, but I don’t think all the dots lined up in the best way. Plus: Great set up, almost Pretty Little Liars-esque. The whole blackmail plot is really well done. Minus: Almost the whole package, but not quite. Some of the plot points could have been stronger, I thought. 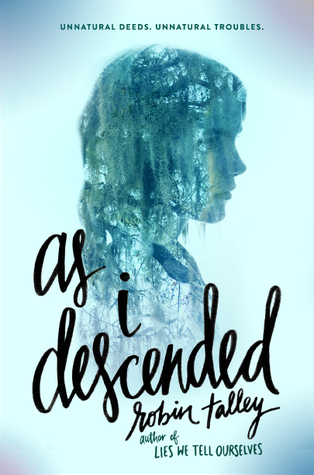 As I Descended by Robin Talley- A gender-swapped, queer retelling of Macbeth, set at boarding school. Similar to People Like Us, everyone has secrets, but with maybe just a touch of the supernatural. “Monday Charles is missing, and only Claudia seems to notice. Claudia and Monday have always been inseparable—more sisters than friends. So when Monday doesn’t turn up for the first day of school, Claudia’s worried. When she doesn’t show for the second day, or second week, Claudia knows that something is wrong. Monday wouldn’t just leave her to endure tests and bullies alone. Not after last year’s rumors and not with her grades on the line. Now Claudia needs her best—and only—friend more than ever. But Monday’s mother refuses to give Claudia a straight answer, and Monday’s sister April is even less help. Tiffany D. Jackson does it again! A highly readable story, with important themes throughout. WELL. DONE. 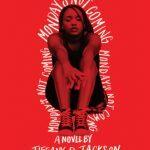 I became a Tiffany Jackson fan after reading her (very first!) novel, Allegedly, about a young girl who was accused of murdering a baby…who then gets pregnant herself. 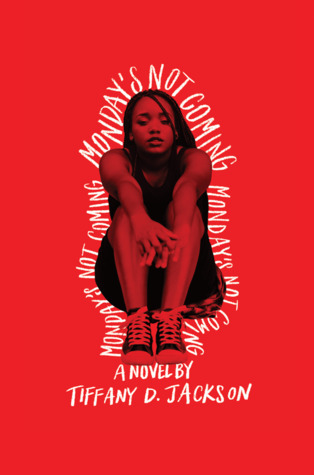 Jackson drew me in with her ability to keep the twists and turns coming and Monday’s Not Coming did not disappoint. Not only does Monday’s Not Coming deal with issues of child abuse, gentrification, bullying, and learning disabilities, but it’s also a great depiction of the deep bonds of female friendship. It’s just an overall fantastic psychological mystery/thriller. Claudia can be a fairly childish narrator at times, but that’s to be expected considering the circumstances, and I think Jackson does a great job of mirroring an actual young adult’s thoughts and insecurities. My only critique of the book is that the story flips back and forth in time a lot, and it was kind of hard to track what was happening when. Plus: A twisty, turn-y story about growing up and facing the darkness of life. Minus: Definitely some heavy themes, but I think it’s worth it. There’s important stuff in here. 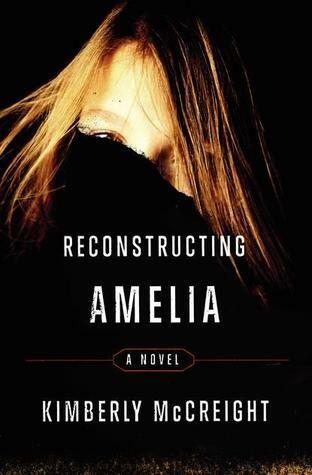 Reconstructing Amelia by Kimberly McCreight- Not quite on the same level in terms of portraying important social issues, but there’s still some of that in Reconstructing Amelia. There is, however, a thoroughly gripping mystery as a mother struggles to find out the true story behind her daughter’s supposed suicide. “She has no allies. No throne. All she has is what she’s always had: herself. I have to say, I wasn’t much of a fan of And I Darken. I wasn’t planning to read the sequel at all, that’s how completely disinterested I was. 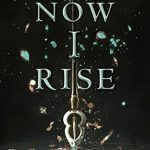 However, I found myself craving a slower, political intrigue story lately and thought, why not give Now I Rise a try. Everyone online is always talking about how much they love Lada. And now I can honestly say that I’m a believer too. Lada is making moves to take control in Wallachia despite the major hurdles in her path. Mehmed finally makes his siege on Constantinople and Radu attempts to help Mehmed, but finds himself questioning his mission. All while Radu is in love with Mehmed and Mehmed is in love with Lada. Juicy! This is the only type of love triangle that’s truly interesting- one where it isn’t the main point of the story! Not only that, but the characters are actually able to put their feelings aside in favor of their greater motives and I really appreciate that. And of course, I’m a sucker for any story having to do with the history of the Ottoman Empire. 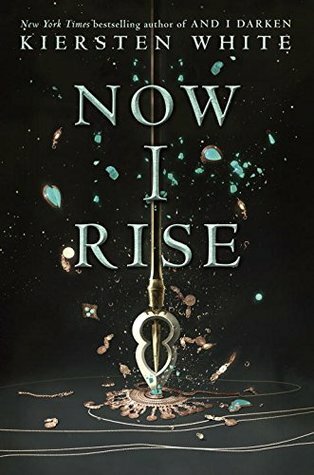 So all around, Now I Rise is a winner in my book, and I can’t wait for Bright We Burn this summer! Plus: Awesome historical setting, the most interesting love triangle in all of YA, and a hella badass female leader. Minus: It is a slow burn of a story, so you have to read it when you’re in the proper mood for it. 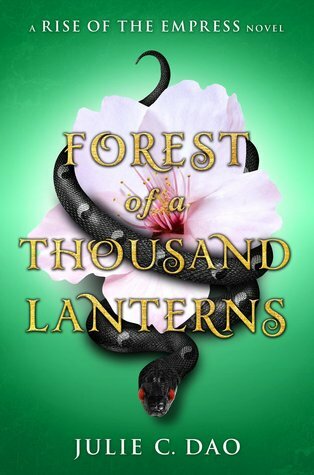 Forest of a Thousand Lanterns by Julie C. Dao- Read Forest of a Thousand Lanterns for another historical fiction tale of a badass, unapologetic female protagonist!